Vixx Handmade Cards: WHIFF OF JOY DT POST ~ MAYA AND KITTY WITH BUNCH OF FLOWERS..
WHIFF OF JOY DT POST ~ MAYA AND KITTY WITH BUNCH OF FLOWERS.. 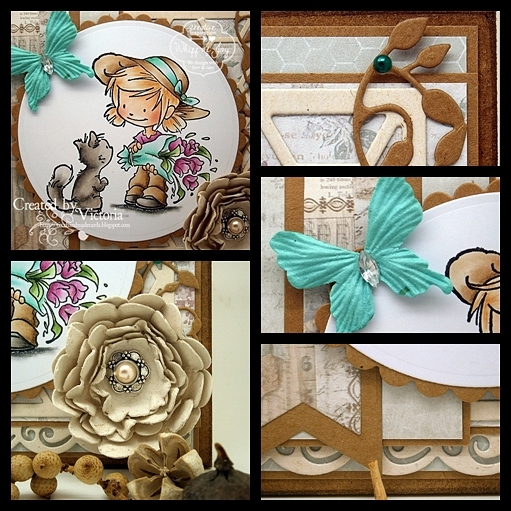 So onto my project...and today I'm showcasing one of my new stamps from Whiff of Joy's latest release...and this wee cutie is called "Maya and Kitty with bunch of flowers"...and isn't her puss so cute...! Beautiful card love the colors and the image is great. Your details are so pretty. It never fail;s to amaze me how beautifully you get your dies to work for your Vicky, as always gorgeous work. Gorgeous hanger hun love the cute image. You must have a lot of walls hun ;0) Hope you have a good day shug. Great and very beautiful card!! Love your new blog banner!! It looks very nice! Hi Vicky, Awww this is so cute. Love this image and gorgeous colours with a splash of aqua. I see you have had a blog makeover since my last visit. Sorry it's been so long but i'm having a break from cardmaking. Pretty fabulous creation. Love the colors. Awwww I love that cute image. The colour scheme is wonderful and your details are gorgeous. Another gorgeous card and colour combo. I adore that buiterfly! Enjoy your day off tomorrow. This is so cute Vicky, love the gorgeous flower.